In two blog entries in 2010, I described the possible regulatory regimes that might affect the use of genetically modified microorganisms or plants in the production of biofuels or bio-based chemicals, focusing on Canada and Europe. In a post last week, I briefly summarized several countries in North America, South America and Africa having explicit biotechnology laws with reasonably clear applicability to uses of GMO microbes in contained manufacturing ( “contained use” or “confined use”). In today’s entry, I’ll describe regulatory regimes for contained uses of modified microorganisms in Europe and Australia, and in selected countries in Asia. As explained in the earlier posts, biotechnology regulations might apply to either of two strategies for the use of advanced biotechnology in biofuel or chemical production, that is, the development either of genetically modified microorganisms or modified plants. Many countries in the world that have adopted a biotechnology regulatory framework that conforms with the provisions of the Cartagena Biosafety Protocol under the Convention on Biological Diversity, and such regulations may often cover proposed uses of either engineered microorganisms or transgenic plants. Under such regulatory schemes, the use of GMO microorganisms in contained manufacturing will likely face a fairly straightforward regulatory process, because using a GMO in “contained” conditions in a manufacturing process will generally pose far fewer hypothetical concerns about environmental or public health impacts. In today’s post I’ll focus on the regulation of modified microorganisms for the manufacture of biofuels or bio-based chemicals. I won’t explicitly the discuss regulation of transgenic plants, although I hope to eventually do so in a subsequent post on the blog. 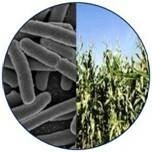 The European Union has adopted a directive governing the “contained uses” of GMOs (Directive 2009/41/EC). Briefly, this directive would require applicants to assign a risk level to its organisms, to adopt containment measures appropriate for that risk level, and to notify a designated national agency before beginning operations. However, specific requirements in any given EU nation would be governed by national legislation or regulation adopted in conformance with the EU directive, so that national requirements in any given country may differ from, and may even exceed, the requirements of the EU directive. This definition appears to give an applicant proposing to use a GMM in Europe (called a “user” in the directive) would have a fair amount of leeway in determining that a system or process is “contained”, and what level of containment measures are called for. Indonesia has ratified the Cartagena Protocol, and adopted Law Number 21 of 2004, followed by Government Regulation Number 21 of 2005 to implement its responsibilities under the Protocol. These regulations, although largely focusing on agricultural uses of GMOs, appear to require an environmental risk assessment for the importation of any GMO, even for contained use. The gist of the regulations is that any GMO either created in the country or imported into Indonesia must undergo a risk assessment to ascertain environmental safety, food safety, or animal feed safety. The Ministry of Environment appears to be the main contact for GMOs, and is listed with the Cartagena Protocol as the “Competent National Authority”. In addition, Law 21 required the formation of a Biosafety Commission of Genetically Engineered Products (Indonesian acronym KKH), and this was apparently not established until 2010. The commission is under the responsibility of the President of Indonesia and is assigned to assist relevant agencies in giving recommendations about biosafety, in conducting control over importation and use of genetically engineered products, as well as in the scientific evaluation of applications and reports. The commission has the authority to assign the Biosafety Technical Team for Genetic Engineered Product in the conduct of evaluation and technical assessment of biosafety of GMO products. It appears that importation of a GMO into Indonesia, even for a contained use, requires government review. For example, Article 13 of Government Regulation 21 reads: “Any person who imports any [GMO] of the same type from abroad for the first time, shall submit an application to the competent Minister or Head of Non-Departmental Agency”, and goes on to say that the application must include a risk assessment document attesting to environmental, food, and animal feed safety. The regulation and other background documents provide some guidance as to what information must be submitted. Presumably, applications for production of fuels or chemicals would be submitted to the Ministry of the Environment, but would be reviewed by the Biosafety Commission. Advance consultation with the Ministry would certainly seem prudent. The provisions governing Type 2 Uses are covered in Chapter 2, Section 2 (Articles 12-15) of Law No. 97. These articles contain general provisions specifying that appropriate containment procedures must be put in place, and specifying procedures to be implemented in the event of an accidental release of an organism. To implement Law 97, the government adopted “Regulations related to the Enforcement of the Law concerning the Conservation and Sustainable Use of Biological Diversity through Regulations on the Use of Living Modified Organisms”. Article 40(3) of these Regulations specify which “competent ministers” have responsibility for Type 2 Uses, either for R&D or commercial purposes. Jurisdiction for R&D is more clear: under subparagraph (i) of this Article, either the Minister of Education, Science and Technology or the Minister of the Environment would have jurisdiction over Type 2 R&D Uses. Subparagraph (ii) of this Article covers activities other than R&D, and specifies that the competent minister depends on who “has jurisdiction over the undertakings performed by persons who make of the Type 2 Use, along with the Minister of the Environment”. Presumably this means that the Minister with jurisdiction would be the Minister ordinarily responsible for the type of commercial activity to which biotechnology is to be applied, with additional responsibility assigned to the Minister of the Environment. India has an existing regulatory framework, although it is based on a 27-year-old law that the government has been trying to update. This law is the Environmental Protection Act of 1986, whose provisions are implemented by the 1989 “Rules for the Manufacture, Use/Import/Export and Storage of Hazardous Microorganisms/Genetically Engineered Organisms and Cells” (both the law and the rules can be downloaded from the government’s biotechnology website. The two primary regulatory bodies under this regime are the Department of Biotechnology (DBT) within the Ministry of Science and Technology and the Genetic Engineering Approval Committee (GEAC) within the Ministry of Environment and Forestry. The DBT has developed recombinant DNA guidelines, and the GEAC has developed guidelines for field testing and food use of GMOs. Under the Act and the Rules, all uses of genetically engineered organisms, including “production in which genetically engineered organisms or cells or micro-organisms are generated or used” require advance approval of the GEAC (although the final section of the Rules gives the Environment Ministry the power to grant exemptions from this requirement). In relying on a single regulatory committee with representatives from various government agencies, the Indian system embodies a regulatory regime that is better suited for R&D applications than for commercial uses, but which reflects the prevailing practice at the time the law was adopted. The Indian government has been trying to revise these regulations to create a stronger framework since 2007. Under a National Biotechnology Strategy issued in that year, the Ministry of Science and Technology and the DBT have created drafts of a proposed “Biotechnology Regulatory Authority of India Bill”. The first version of this bill was proposed in 2008, with a subsequent version proposed in 2012 following inter-agency consultations and stakeholder feedback. The bill would create a unified National Biotechnology Regulatory Authority, with individual branches having responsibility for different commercial and R&D uses of biotechnology: for example, under the original 2008 proposal, the “Industrial and Environmental Applications Branch” would have responsibility for “application[s] in industrial production or manufacturing processes”, and so if this regime is implemented, that Branch would presumably have responsibility for review of uses of engineered microorganisms in fuel production. It appears from online sources that the government has not made much progress in passing this new legislation, and that it has engendered opposition from many fronts. Not least of the opposition has come from India’s state governments, which are concerned that the new law might pre-empt authority they currently maintain to play a significant role in regulating certain biotechnology products. There has been opposition from segments of the public as well. At this writing it does not look likely that this law will be implemented in the near future, and so the status quo under the 1986 Act and 1989 Rules remains in effect. Although not an ideal regulatory regime, it has the advantage of providing applicants with fairly straightforward requirements. Companies seeking to use genetically modified microorganisms for fuel or chemical production would likely need to gain approval from the GEAC. Australia has a Gene Technology Act of 2000, implemented by the Gene Technology Regulations of 2011, which would dictate whether the use of modified microorganisms for biofuel production would require a license. The Act and regulations established the Gene Technology Regulator (GTR) as the central office that administers the Act. The GTR plays the key role in assessing, regulating and licensing GMOs and enforcing license conditions. The Gene Technology Act defines gene technology as any technique for the modification of genes or other genetic material, although there is an exception for “homologous recombination” that appears quite narrow. The most important features of the Gene Technology Regulations are the clarification of procedures for licensing certain uses of GMOs (activities involving GMOs are referred to by the term “Dealings”). Of the dealings requiring a license, a distinction is made between those involving a deliberate release of a GMO into the environment, and those that do not, with the latter being referred to as a DNIR (“dealing not involving release”). Applicants for either type of license are required to submit certain information to the GTR, which is then used to prepare a risk assessment and risk management plan, which forms the basis for the GTR’s decision. Procedures for DNIR license applications are similar to those for deliberate releases, except that the time period for the government’s decision is shorter for DNIRs (90 working days as opposed to 150-255 working days for release applications), and that public involvement may not be required for DNIR applications as they are for deliberate releases. Another feature of all license applications is that they must first be reviewed and approved by an Institutional Biosafety Committee (IBC). The law and regulations specify requirements for such committees, and it appears that to meet such requirements, applicants would need to use an IBC in Australia. It appears that any proposed use of a modified microorganism in contained manufacturing of a fuel or chemical would require a permit from the GTR. The GTR website has links to the application forms, and the form for application for a DNIR license can be downloaded here. The application form is quite detailed, although the scientific information it requires is similar to the information that would be submitted to the U.S. EPA in a Microbial Commercial Activity Notice, which were summarized in one of my 2010 posts. I’ll admit that the two posts in this series represent a somewhat arbitrary selection of countries, particularly in South America and Asia. I’d be happy to answer questions about regulations in other countries not mentioned in either post, either through Comments on this post, or by contacting me offline. In two blog entries in 2010, I described the possible regulatory regimes that might affect the use of genetically modified microorganisms or plants in the production of biofuels or bio-based chemicals, focusing on Canada and Europe. In today’s entry, I’d like to update that information and extend it to a broader group of countries. As explained in my 2010 posts, biotechnology regulations might apply to either of two strategies for the use of advanced biotechnology in biofuel or chemical production, that is, the development either of genetically modified microorganisms or modified plants. In either case, some government review or permitting will likely be needed, and in many countries such oversight would be governed by the provisions of a single law. As I described in a previous post, many countries in the world that have adopted a biotechnology regulatory framework have done so to conform with the provisions of the Cartagena Biosafety Protocol under the Convention on Biological Diversity. National laws that are based on the Cartagena Protocol often feature unified provisions for government review of any biotechnology proposal, although in most cases the driving force for the creation of such rules was the desire for adequate oversight over agricultural and food uses of modified crop species. The use of genetically modified microorganisms (GMOs) in manufacturing will likely face a fairly straightforward regulatory process in most countries, because such “contained” uses will generally pose far fewer hypothetical concerns about environmental or public health impacts. In contrast, the use of genetically modified plants as improved biofuel feedstocks will entail the field testing and ultimately the outdoor cultivation of modified plants, and may trigger a more rigorous review of potential environmental impacts. In many cases, national biotechnology laws cover both potential applications, but in today’s post I’ll focus on the regulation of modified microorganisms for the manufacture of biofuels or bio-based chemicals. I won’t explicitly the discuss regulation of transgenic plants in today’s post, although I hope to eventually do so in a subsequent post on the blog. The following are brief summaries of several countries in North America, South America and Africa having explicit biotechnology laws with reasonably clear applicability to uses of GMO microbes in contained manufacturing ( “contained use” or “confined use”). I’ll cover countries elsewhere in the world in a subsequent post. Mexico is a signatory to the Cartagena Protocol and has a Bio-Safety Law adopted in 2005. The Bio-Safety Law assigned primary responsibility for biotechnology regulation to three agencies: the Secretariat of Agriculture, Livestock, Rural Development, Fisheries and Food (SAGARPA), the Secretariat of Environment and Natural Resources (SEMARNAT), and the Secretariat of Health (SALUD), and specified each agency’s jurisdiction. The Inter-Ministerial Commission on Biosecurity and Genetically Modified Organisms (CIBIOGEM) coordinates Mexico’s biotechnology oversight activities. The government has issued regulations (known by the Spanish title Reglamento) under the Bio-Safety Law, with the most recent version being issued in March 2008. The Reglamento provides detailed requirements for the use of GMOs outside containment, or for food use, human use, or bioremediation. The Reglamento ostensibly also provided for a notification scheme for contained uses, but this does not appear to have been fully fleshed out until April 2011, when the government published notice of an agreement between SAGARPA and SEMARNAT regarding a unified approach to notifications for confined uses of GMOs. This notice is available here, apparently only in Spanish. Part of this notice is a lengthy “Annex” containing the proposed unified format for notifications. This notification form requires submission of a good deal of information describing the GMO, how it is proposed to be used, as well as information pertaining to a risk assessment for the proposed use. The amount and type of information required is of a similar scope to what would be required in the U.S. (e.g. in a Microbial Commercial Activity Notice under EPA regulations), but the information would of course need to be submitted in Spanish (EPA’s data requirements are discussed in my previous blog entries from 2010). The form can be a little difficult to understand, in that it specifies that different sections are to be completed for each of several different permit types, and so advance consultation with the relevant regulatory agency would be recommended. Canada’s regulatory approach resembles that of the U.S., in that existing laws and regulations are used to regulate biotechnology in a product-specific way. Therefore, many products of biotechnology would be regulated in Canada under existing federal laws. In November 1997, Environment Canada (EC) issued biotechnology regulations under the Canadian Environmental Protection Act (CEPA), that are similar in scope and approach to the U.S. EPA’s TSCA biotechnology regulations, and which are meant to cover biotechnology products or microorganisms that are new to commerce in Canada and which are not regulated by other federal agencies. Among products that could fall under this law’s scope would be microbial strains used for biofuel or bio-based chemical production, or for manufacture of enzymes for use in biofuel production. My 2010 post described these regulations in detail, but the following is a brief summary and update. EC considers microorganisms as being potentially subject to these “New Substance Notification” (NSN) regulations if they meet the definition of “new substance”. The law defines a “new substance” as one intended for introduction into commerce that is not on the Domestic Substance List (DSL) as having been used in commerce between January 1, 1984 and December 31, 1986. The DSL for microorganisms includes about 70 naturally-occurring species, identified by ATCC accession numbers. Thus, if a microorganism on this list was used in commerce from 1984-86 in a way such that “its entry into the environment was unrestricted”, it is exempt from reporting; but all other microorganisms, regardless of make-up, are subject to reporting. In this way, the Canadian CEPA regulations are broader than those of the U.S. EPA, in subjecting a larger class of microorganisms to regulation, and it is important to note that the regulations are broad enough to include naturally occurring or classically mutated strains, if such strains had never previously been used in commerce. CEPA has reviewed and approved a number of notifications for industrial uses of new microorganisms. These have been described in my 2010 blog post on the Canadian regulations, which includes links to the various decision documents. There do not appear to have been any published decision documents or risk assessments in the time since my earlier blog post. Colombia is a signatory to the Cartagena Protocol, and has adopted laws and regulations to ensure compliance. These include Act 740 of 2002 and Decree 4525 of 2005, which implements Act 740, and establishes which agencies would have authority for which types of activities (note: these links will lead to the original Spanish versions of these documents). These agencies are: the Ministry of Agriculture and Rural Development, with responsibility for agricultural, livestock, fisheries, forest plantations and agribusiness; the Ministry of Environment, Housing and Territorial Development, with responsibility for organisms intended solely for use in the environment; and the Ministry of Social Protection, with responsibilities for uses in health or foods. Decree 4525 appears to require at least a notification to the appropriate government agency prior to any intent to import a GMO into Colombia for use in contained R&D, accompanied by a suitable risk assessment of the proposed use. The law and the implementing regulations do not explicitly state the requirements for commercial use of a GMO in contained manufacturing, and so consultation with the government, likely the Ministry of the Environment, would be advised. Chile has signed the Cartagena Protocol, but it has not been ratified, with no set timetable for ratification. The country has no national biosafety law, but the National Commission of the Environment (CONAMA) worked with the United Nations Environmental Project (UNEP) in 2005 to develop a document that proposed the fundamentals for a national biosafety framework for Chile that would be consistent with the Cartagena Protocol, but no action on such a proposal has yet taken place. In spite of the lack of a national law, the government has reviewed requests for field use of transgenic plants under existing agricultural regulations. Responsibility for such reviews within the Ministry of Agriculture was given to the Advisory Committee for the Release of Transgenes (known by the Spanish acronym CALT), which has reviewed and approved a large number of applications for field growth of transgenic plants since 1992. On the microorganism side, there are guidelines for laboratory use of GMOs but apparently no laws that would clearly cover proposed uses such as use of a GMO in a contained manufacturing process. It is probably advisable for companies planning activities in Chile to consult either with the Ministry of the Environment or with the CALT committee. Brazil has ratified the Cartagena Protocol and has been active in oversight over agricultural and industrial biotechnology. Brazil has a national biosafety law (Law No. 11,105 of March 24, 2005, available here in either English or Portuguese). The law creates a national regulatory framework administered by the Biosafety National Technical Committee (Comissão Técnica Nacional de Biossegurança, known by its Portuguese acronym CTNBio), and the National Biosafety Council (CNBS), with the involvement of the Ministries of Health, Environment and Agriculture, the Special Secretariat of Agriculture and Fishery, and other agencies. The CTNBio website, in Portuguese but with some links to English pages, can be found here. The Law and its regulations require that companies wishing to conduct commercial activities using GMOs or to test or use GM plants in the environment must seek the approval of CTNBio. Specifically, the Law requires approval for any activities involving the “cultivation, production, handling, transport, transfer, commercialization, import, export, storage, consumption, release and disposal of GMOs and their derivatives for commercial purposes.” Thus, unlike some national regulatory frameworks that are largely restricted to covering outdoor use of GMO plants, it is clear that the Law covers not only contained manufacturing but also the importation of GMO strains into Brazil. There are precedents in Brazil for prior approvals for industrial biotechnology activities. These are two applications that were filed by Amyris for the use of genetically modified strains of S. cerevisiae (yeast) for the production of farnesene for fuel and chemical use. These applications appear to have been approved by CTNBio within a review period of several months, following submission by the company of a fairly detailed dossier describing the organisms, their construction and proposed use, and a risk assessment of the proposed commercial application. South Africa adopted the Genetically Modified Organisms Act of 1997, which was amended in 2006 after the country ratified the Cartagena Protocol. The regulations and any required permit applications would be administered by the Ministry of Agriculture. Regulations were first established in 1999, but apparently implementation of these regulations was problematic with regard to permit applications and public access to decision-making documents, so there was pressure to revise the regulations. An Amendment to the Genetically Modified Organisms Act was adopted in 2006, in part to overcome these problems, and this version is in effect at this time. There is a website that is the gateway to downloading permit applications, and from the list of applications shown on this site, it appears that the following three applications might need to be submitted for a proposed biofuel or bio-based chemical plant which uses GMOs. The “contained use” application generally asks for the sorts of information one would expect, including a description of the organism, the facility, and the process, and is guided by a list of issues to address. The contained use application also requires submission of a risk assessment in a format set out in an appendix to the application, which is similar to, but not identical to, the risk assessment format set out in the Cartagena Protocol: it appears that the South Africa form is longer and asks for more data than the risk assessment format that is contained in Annex III of the Protocol. In two blog entries in 2010, I described the possible regulatory regimes that might affect the use of genetically modified microorganisms or plants in the production of biofuels or bio-based chemicals, focusing on Canada and Europe. In a forthcoming series of posts, I’ll be updating information on the regulation of genetically modified microorganisms and extending it to a broader group of countries. In preparation for doing so, today’s post will briefly describe an international standard on which many national biotechnology laws are based, particularly in the developing world. That is the Cartagena Protocol on Biosafety, which is an annex to UNEP’s Convention on Biological Diversity. As explained in my 2010 posts, biotechnology regulations might apply to either of two strategies for the use of advanced biotechnology in biofuel or chemical production, that is, the development either of genetically modified microorganisms or modified plants. In either case, some government review or permitting will likely be needed, and in many countries such oversight would be governed by the provisions of a single law that is based on the Cartagena Biosafety Protocol. The following is an overview of those aspects of the Protocol that are relevant to the potential use of genetically modified microorganisms in contained manufacturing, e.g. of either fuels or chemicals. The Cartagena Protocol on Biosafety to the Convention on Biological Diversity is an international agreement which was enacted to ensure the safe handling, transport and use of genetically modified organisms (which the Protocol calls “living modified organisms”, or LMOs) resulting from modern biotechnology that may have adverse effects on biological diversity, and possible risks to human health. The Protocol was adopted on January 29, 2000 as a supplementary agreement to the Convention on Biological Diversity and took effect on September 11, 2003. Considerable detail on the history of the Protocol and its development can be found on the Biosafety Clearing-House website, which is a site established under the Protocol to be a repository of information from various countries regarding compliance. The Protocol is intended to ensure that national authorities are notified of proposed deliberate releases or transboundary movement of LMOs in their countries, and to ensure that information about uses of LMOs is provided to the public and to other countries and interested parties. Another important goal of the Protocol is to ensure that rules are in place for the transboundary export of LMOs, particularly those to be used for food or feed. Specifically, the Protocol requires there to be “Advance Informed Agreements” (AIA) when LMOs are shipped across national boundaries, to ensure that the recipient nation is notified of the proposed shipment, and to allow the recipient nation to conduct needed risk assessments. The Protocol specifies that each party to the Convention designate one or more government agencies as the “competent national authority” having responsibility for oversight over activities that are subject to the Protocol. Signatories to the Convention need to adopt national laws, or amend existing laws, to establish procedures that conform to the provisions of the Protocol. Although such national laws based on the Protocol sometimes feature unified provisions for government review of any biotechnology proposal, in most cases the driving force for the creation of such legislation or regulation has been the desire for adequate oversight over agricultural and food uses of modified crop species, particularly the so-called “deliberate release” of modified crop plants. Therefore, in countries having national biotechnology laws that were enacted to implement the provisions of the Protocol, the best-defined provisions are those that apply to LMOs intended for agricultural and/or food use. Although these are clearly the most widely applicable portions of the Protocol, I won’t describe these provisions any further here, because the focus of today’s post is the impact of the Protocol on contained use of LMOs in commercial manufacturing. Notwithstanding Article 4 and without prejudice to any right of a Party to subject all living modified organisms to risk assessment prior to decisions on import and to set standards for contained use within its jurisdiction, the provisions of this Protocol with respect to the advance informed agreement procedure shall not apply to the transboundary movement of living modified organisms destined for contained use undertaken in accordance with the standards of the Party of import. It’s important to note that Article 6(2) requires that the contained use must be “undertaken in accordance with the standards of the Party of import.” Therefore, what Article 6(2) says is that transboundary shipments solely for contained uses do not necessarily require AIAs under the Protocol, although individual countries are free to set their own standards for contained use and to require and carry out whatever risk assessments or other regulatory requirements they feel are appropriate. This might include not only a review of the proposed importation of the LMO, but also review and possible permitting of the proposed contained use itself. So, for example, in the European Union, where each member state has regulations governing “contained uses” in accordance with the EU contained biotechnology directive, the use of an LMO sent to an EU member state via a transboundary shipment would have to comply with EU or national law, even if the Protocol does not require there to be an AIA. Note that the definition of “contained use” in the Protocol does not distinguish between research uses and commercial uses. This ambiguity carries forward to a number of national laws that I’ve reviewed, sometimes making it unclear whether any there might be any permit requirements for commercial “contained uses” over and above the notification and labeling requirements under the Protocol. The Protocol can be viewed as establishing minimum requirements for applicants proposing to use LMOs in contained commercial manufacturing, with the understanding that national laws may impose additional requirements in certain countries. Applicants should therefore consider taking steps such as documenting that the intended use in the country of importation is indeed “contained” in accordance with the definition in Article 3 of the Protocol; documenting in writing that the intended recipients understand that an LMO is to be shipped, and abiding by the labeling requirements for all shipments of the LMO into the country. It would also be advisable to identify the relevant agency(ies) that are the “competent national authority” for the activity to be undertaken, and to consult with that agency in advance. It is possible that national law or regulations or common practice in any given country might be to require a risk assessment even for proposed contained uses of LMOs, and if so, such a risk assessment might need to be carried out in conformance with the Protocol, e.g. as specified in its Annex III. Several of the national laws that I’ll describe in the forthcoming posts will indeed require a risk assessment and sometimes a permit application as part of the review of proposed uses of LMOs in contained manufacturing. This has been a brief, and highly selective discussion of the Cartagena Protocol and its requirements, and there are many aspects that I’ve omitted here as not necessarily relevant to contained uses of microorganisms. There are a myriad of sources for additional information about the Protocol available online, including some of the sites referenced above (see also a 2003 guide published by IUCN – The World Conservation Union, available here). From time to time, I’ll be posting descriptions of inventions or other research discoveries arising in academic or other non-profit laboratories that may enable improved techniques for development or production of renewable fuels, which are available for licensing for commercial development. For each invention, I’ll include a link where you can find further information, as well as contact information for the technology transfer office handling each invention. I welcome questions or comments on these listings, and I would also be happy to hear from tech transfer offices about other inventions for inclusion in later posts. Metabolic Engineering of Caldicellulosiruptor bescii for the Production of Biofuels and Bioproducts. Caldicellulosiruptor bescii, a thermophilic bacterium with native cellulolytic activity, has a high affinity for decomposing lignocellulosic biomass including agricultural residues such as rice straw, switchgrass, as well as hard- and softwoods. These characteristics make this organism especially appealing for use in biomass processing, but in order to economically produce compounds of economic interest, the organism must be modified to enable its use in industrial processes for the production of biofuels and other commodity chemicals. The inventors have developed methods for genetic manipulation of Caldicellulosiruptor species, for example by introducing genes from Clostridium thermocellum, which is the best-known thermophilic ethanol producer, enabling the production of ethanol and hydrogen from biomass. Other genes from C. thermocellum can similarly be introduced allowing the bacterium to convert acetate to acetaldehyde. These modified strains of C. bescii can be used to economically produce fuels and chemicals from lignoceullolosic feedstocks. Contact: Gennaro J. Gama, Ph.D., Senior Technology Manager, University of Georgia Research Foundation, Inc., Phone: 706-583-8088, Email: GJG@uga.edu. Reference: Case Number 1936. Chimeric Enzymes with Improved Cellulase Activities. Production of cellulosic biofuels continues to face the challenge of finding cost-effective ways to release the sugars from the complex polymers found in these feedstocks for conversion to ethanol or other fuels. The use of cellulolytic enzymes to catalyze and improve extraction yields of sugars from cellulosic biomass could help to overcome this challenge. The inventors have developed a novel and modified version of cellobiohydrolase from Clostridium thermocellum (CbhA) that exhibits enhanced catalytic activity in the saccharification of cellulose. Clostridium thermocellum has the potential to be used in the production of ethanol, because of its ability to directly convert cellulose to ethanol, which is catalyzed through a cellular surface organelle called a cellusome, which possesses a complex of many different catalytic subunits. This invention provides recombinant methods and molecules for producing chimeric CbhA polypeptides, incorporating polypeptides from other organisms, that exhibit enhanced cellulolytic activity. The chimeric CbhA exhibits cellulolytic activities that are at least two-fold greater than the wild-type CbhA for degrading cellulosic biomass. Contact: Eric Payne, Senior Licensing Executive, National Renewable Energy Laboratory, Phone: 303-275-3166, E-mail: eric.payne@nrel.gov. Reference: Case Number: NREL ROI 12-33. Genetically-engineered Microorganism for the Conversion of Feedstock into Fatty Acids. Rutgers University researchers have developed a pro­cess for genetically engineering microorganisms for the effi­cient production of fatty acids. This process makes use of genome-scale flux-balance analysis (FBA) modeling for the in silico design of engineered strains of microbes that overproduce diverse targets, and allows E. coli and other bacteria to be engineered for high-efficiency production of fatty acids, for conversion into biofuel. Although other methods exist for engineering bacteria to produce fatty acids, the advantage of this process is to enhance the efficiency of bacterial production, thus increasing fatty acid yield and reducing process costs. Contact: Rick Smith, MSEE, MBA, Assistant Director, Physical Sciences and Engineering Licensing, Office of Technology Commercialization, Rutgers, The State University of New Jersey, Phone: 732-932-0115 x3010, Email: rismith@otc.rutgers.edu. Reference: Technology Number 2011-049. Enhanced Lipid Production in Algae. Algae are considered among the best potential candidates for production of advanced biofuels in view of growing golabl energy concerns. They are an attractive option over terrestrial crops due to their ability to grow fast, produce large quantities of lipids, carbohydrate and proteins, thrive in poor quality waters, sequester and recycle carbon dioxide and remove pollutants from industrial, agricultural and urban wastewaters. This invention features a method to enhance algal biomass productivity (i.e. production of lipids) per unit of area. The method comprises inducing a specific stress into microalgae, which in turn results in increased production of lipids. Lipid productivity increased 70% – 336% over control, which is expected to translate to a corresponding increase in the production of bio-oils per unit of area of growth pond. Contact: Gennaro J. Gama, Ph.D., Senior Technology Manager, University of Georgia Research Foundation, Inc., Phone: 706-583-8088, Email: GJG@uga.edu. Reference: Case Number 1549. Higher Yielding Biomass Developed Using Newly Discovered Cell Wall Structures and Proteins. In spite of the promise of biomass as a renewable resource, the cost of biomass-based fuels historically has not been competitive relative to oil or other energy resources. A major barrier in converting biomass into fuels is that the complex of cellulose, hemicellulosic and pectic polysaccharides that make up a plant’s cell wall is naturally resistant to degradation by microbes and enzymes, making it hard to free up sugar resources. UGA researchers have created a transgenic plant that has much decreased recalcitrance and increased plant stem and root growth, which will directly translate into higher volumes of convertible sugar. The invention is based on the identification of novel plant cell wall structures in which cell wall pectin and hemicellulose glycans are linked to structural proteins, enabling a substantial reduction in recalcitrance while enhancing plant growth. This new research suggests the existence of a complex proteoglycan network in plant cell walls, which enables a potential new pathway for the development of transgenic plants having more degradable plant biomass available for biofuel production. Contact: Gennaro J. Gama, Ph.D., Senior Technology Manager, University of Georgia Research Foundation, Inc., Phone: 706-583-8088, Email: GJG@uga.edu. Reference: Case Number 1664. Improved Biochemical Fermentation Utilizing Modified Transgenic Rice and Switchgrass. Biomass is a renewable resource that has shown promise to replace petroleum based fuels. A major barrier in converting lignocellulosic biomass into fuels is that the complex of cellulose, hemicellulosic and pectic polysaccharides that make up a plant’s cell wall is naturally resistant to degradation by microbes and enzymes, making it hard to free up sugar resources. Researchers at The University of Georgia have successfully modified rice and switchgrass, both of which are fast growing and rich in carbohydrates, to create transgenic varieties having improved growth, sugar yield and ethanol yield from fermentation. The invention involves the modification of plant pectins, the complex carbohydrates found in cell walls and other structures, through overexpression of an esterase gene in these plant species. These novel transgenic plants resulted in a larger biomass yield compared to study controls and wild rice. Furthermore, fermentation of sugars extracted from the novel plants led to improved ethanol yield that was18% to 56% greater than that seen from wild-type plants. Contact: Gennaro J. Gama, Ph.D., Senior Technology Manager, University of Georgia Research Foundation, Inc., Phone: 706-583-8088, Email: GJG@uga.edu. Reference: Case Number 1843.